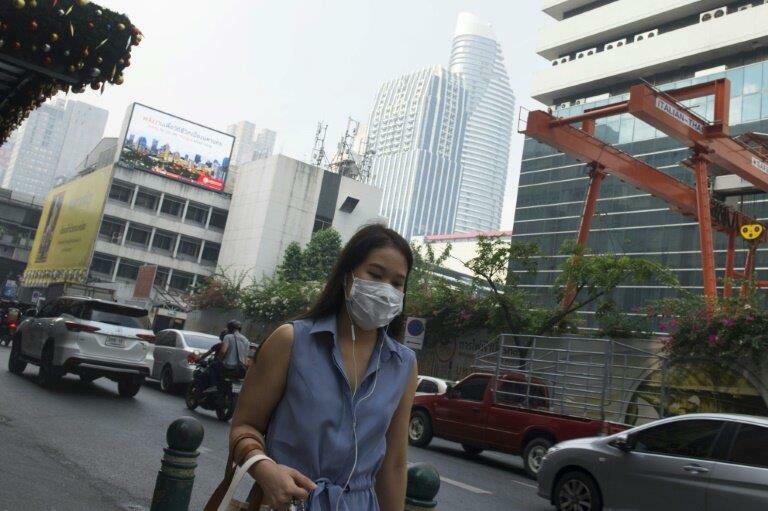 BANGKOK, Jan. 30 (Xinhua) -- Hundreds of schools under the care of the Bangkok Metropolitan Administration (BMA) in Thailand are being temporarily closed in the face of the city's aggravated air pollution. BMA Governor Asawin Kwanmuang announced on Wednesday that 437 BMA schools throughout the capital city are closed from Wednesday and Friday to keep students and teachers safe from PM 2.5 airborne particulate matter. In the meantime, 50 drones, which can carry 10 liters of water each, will fly over Bangkok and outlying areas on Thursday and Friday to release water in the air to reduce the dust, the governor said. He quoted the Ministry of Natural Resources and Environment as saying Bangkok's air pollution will be deteriorated until next Monday.